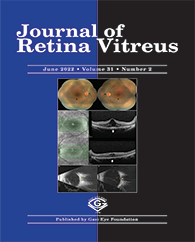 Materials and Methods: Fifty-five patients with BRVO and macular edema were treated with IVR (Group 1) in 32 patients and IVD (Group 2) in 23 patients.Groups were compared in terms of age, gender, ischemia, duration of post-edema application, number of intravitreal injections. Intraocular pressures (IOP), central macular thickness (CMT) and logarithmic visual acuity (LVA) values were evaluated before injection, after injection 1 month, 3 months, 6 months. SPSS 16.0 program was used for statistical analysis.